Online analytics makes it possible to identify specific consumer characteristics which can be used to group customers based on their specific preferences, actions, habits and histories. An enterprise ecommerce platform that automatically parses consumers so as to give a unique experience based on the behavior patterns of specific individuals can greatly improve the customer experience and increase sales. All this should be automated on the back-end with very little manual manipulation required. Segmentation by Businesses- Some can be grouped by size, some by budget and some by relationship (ie. are they long time business partners?). Long time customers may recieve loyalty discounts that only show in their pricing when they visit a page. Businesses that come to your B2B web platform with a large budget can be shown your most attractive bulk purchase deal. Group by Location- Geographical location of the buyer can play a huge role in the purchasing process on your enterprise e-commerce platform. For example, local buyers shouldn't see the same prices as foreign buyers (check out this page on multicurrency E-Commerce) . Indeed, information irrelevant to a specific customer should not be included as it is distracting and decreases the likelihood of a sale. Division by Industries- In the same way that individual people and businesses require an individualized experience from your enterprise web shopping cart, specific industries are looking for specific things. Maybe there is are norms in terms of industry documents and necessary forms, maybe it's jargon commonly used when referring to products, or perhaps a particular industry only has need of a few of the products you offer. Wouldn't it be easier for both of you if the products or services they want from your business-to-business platform are on the front page when the customer accesses the store? Price Level Segmentation-A well built enterprise web commerce platform will not have duplicate product listings. Instead, the segments listed above as well as other groups clever marketers can identify, will receive different pricing. Of course, price ultimately depends on COP and logistical considerations, yet segmentation, specifically with pricing, gives you discretionary wiggle room in terms of the choice between profit per order and number of orders. The key takeaways from segmentation are that they allow you to cater to the needs of individual consumers more directly, even though the process itself is automated. Furthermore, segmentation on your e-commerce platform allows you to remove clutter and irrelevant information that distracts would-be consumers. Lastly, ultra-targeting of your audience allows you to come up with more unique offerings and to find that sweet spot between increasing the number of sales while not sacrificing profit margins. Quick Ordering- Some customers come to your store knowing exactly what and how much of an item they want with the intention of buying. You lose these types of customers if your enterprise e commerce platforms are too complex and difficult. Make it stupid easy for them! Introduce a quick order system where they can input what they want (typically an SKU or part number) and the quantity, then take them straight to checkout. One-Click Reorder- Remember that customer who orders the same thing every two months who was mentioned above? Make them happy by making their process of buying from your B2B platform even easier with one-click reordering. This means they log in to their account, click Re-Order (insert part name here), confirm, and they're done. Their payment account and address is automatically recalled so they don't have to re-input the information. A predictable customer like this should be in and out of your b2b shopping cart in less than a minute. 59% of consumers will abandon a transaction if their preferred payment method is not in place on your enterprise e-commerce platform (check out this great infographic for more informative stats on consumer psychology in the E Commerce Checkout). When it comes to B2B customers, they are especially finicky about having their preferred method of payment integrated into the ecommerce checkout system. Some even require off-line payment options like PO and Net30's. Try incremental or payment installations for trusted clients, give them a payment option they will receive nowhere else to entice them to continue coming back. Lastly, especially if you're a tech enterprise selling online, consider digital payments like Bitcoin. While there is an aura of murkiness around such digital currencies, they are fast becoming mainstream, legitimate, and the preferred method of payment for particular industry and consumer segments. Lastly, but perhaps most importantly, are integrations. Integrations allow you to save money and time by introducing automated handling of redundant manual processes. This makes your employess more productive and your business intelligence both more robust and efficient. ERP & CRM E Commerce Integrations- These allow you to segment audiences, pull dynamic data across the organization, automate redundant processes on the back-end, aggregate invaluable customer data, and allow your employees to be more productive by doing away with many cumbersome data-entry tasks. E Commerce Shipping Integrations-Automatically calculate shipping costs at the time of checkout. This integration can be fairly simple or extremely complex, depending on your product or service and areas of consumer audience. Taxes, Customs, Duties Integrations- Much like shipping integrations, these can either be simple of complex. International ecommerce businesses will surely have the most need in automating these calculations due to the rich varieties of laws, documentation, taxes and customs they deal with on a daily basis. However, even local taxes can be burdensome if not automated, and it's fairly cheap and simple to build out. Social Media Integration-Custom buttons and widgets for your customers' favorite platforms can go a long way in enticing them to share your business and become a vocal mouthpiece for your business in the virtual world. Social integrations (like Google Plus, LinkedIn and Twitter) can also introduce game theory opportunities as well as the chance for your marketing team new ways to attract customers. Spread your brand and stay in front of customers wherever possible. These top 5 tips for enterprise ecommerce platforms will go a long way in introducing you to the basic needs when considering building or re-vamping your b2b web shopping cart. If you have any questions, feel free to comment on this article or reach out to us on LinkedIn, Twitter or Google Plus. 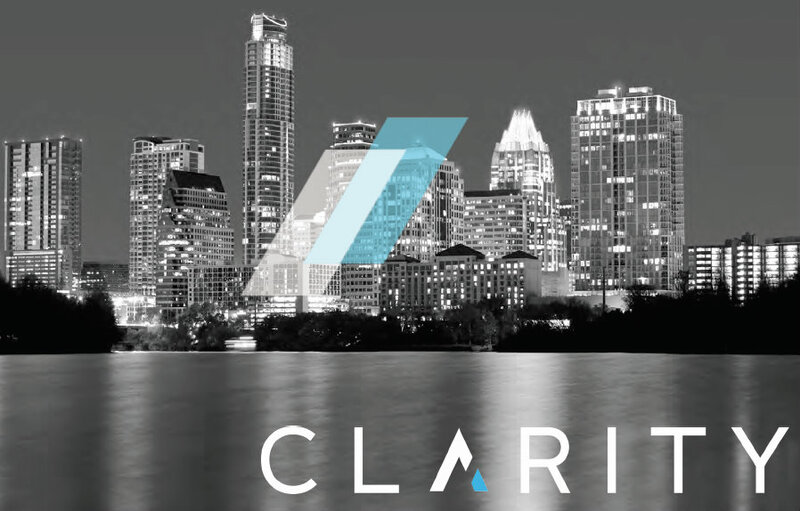 Clarity has delivered over 700 projects for over 350 clients. We have over 300 years of combined development experience. Call us today for a free consultation on your next enterprise ecommerce project!